Hope you had a fabulous Thanksgiving (if you’re stateside)! 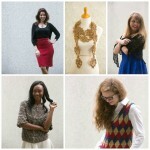 For us, the celebration continues with Cyber Monday here on Stitch & Unwind. 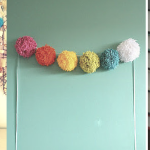 Now that the holidays are really here, you can decorate shamelessly! Give yourself a project for all those cold winter evenings by making this gorgeous Red Heart crochet pattern: the Corner-to-Corner Snowflake Blanket. Besides the free pattern, we’re also giving away a great Cyber Monday prize: Delicious Yarn and Book Bundle Giveaway! Read all about it and find out how to enter below. This classic motif has a Swiss-inspired look that we can’t get enough of. It would look fabulous draped over your couch or easy chair this season. 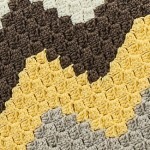 Not to mention all the warm winter snuggles this crochet blanket pattern provides. This blanket by Marly Bird (one of our Youtube regulars!) 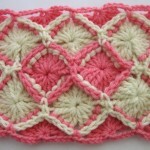 is crocheted in a diagonal direction, starting in one corner and ending in the opposite corner. Rows 1-11 = 6″ (15 cm) across straight edge. CHECK YOUR GAUGE. Use any size hook to obtain the gauge given. 1. Blanket is worked in a diagonal from corner to corner. 2. All right side (odd numbered rows) are worked from top right to bottom left, and all wrong side (even numbered rows) are worked from bottom left to top right. 3. Change colors on the last yarn-over of the last st of the square to the next color indicated by chart. 4. There will be many yarn ends to weave in; you may want to weave some in as you go. Row 1 (right side): Skip 3 ch, hdc in 4th ch from hook and in each of 2 remaining ch, turn – 1 square made. Row 2 (wrong side): Ch 6, skip 3 ch, hdc in 4th ch from hook and in each of next 2 ch, (sc, ch 3, 3 hdc) in ch-3 space of Row 1, turn – 2 squares. Row 3: Ch 6, skip 3 ch, hdc in 4th ch from hook and in each of next 2 ch, (sc, ch 3, 3 hdc) in each ch-3 space of previous row, turn – 3 squares. Rows 4-75: Repeat Row 3, changing colors as indicated by chart, turn – 75 squares across last row. Row 76: Ch 6, skip 3 ch, hdc in 4th ch from hook and in each of next 2 ch, (sc, ch 3, 3 hdc) in each ch-3 space to last space changing colors as indicated by chart, sc in last space, turn – 75 squares. Row 77: Slip st in each of first 3 sts, (sc, ch 3, 3 hdc) in each ch-3 space of previous row changing colors as indicated by chart, including last space, turn – 75 squares. Rows 78-87: Repeat Rows 76 and 77 five more times. Row 88: Slip st in each of first 3 sts , (sc, ch 3, 3 hdc) in each ch-3 space of previous row to last space changing colors as indicated by chart, slip st in last space, turn – 74 squares. Rows 89-161: Repeat Row 88, changing colors as indicated by chart – 1 square at end of Row 161. Weave in remaining loose ends. For Cyber Monday, we’re giving away this prize package of 5 knit and crochet books, plus 5 skeins of yarn to one lucky winner! Yarn and books for me! I want to be able to go into my local crafts store and buy lots of yarn! This would make me happy! This year I would like gift cards to all of my favorite craft stores and maybe some restaurants. PLEASE !!! DON’T SEND ME MORE PAGES OF ANYKIND TO MY MAIL I WANT TO UNSUSCRIBE ME FROM ALL KIND OF THEMES !!! I DON’T WAnt more of anything !!!!!!!!!!!!!!!!!!!!!!!!!!!!!!!!!!!!!! Would love to win the yarn and book. My wish for this coming year is very simple. would like to prosper and be thankful for what we have. just a happy new year, with healthy family and friends. This year I wish for a washing machine. I could really use some books about knitting. I really want to learn how to knit. This year I wish for love and family. This year I wish for a happy family. I’m going to make a blanket like this. I like the snowflakes. Two things I am constantly buying that drives my husband bananas, is yarn and books. It would be a great Christmas if I received yarn and books without using my credit card. The main thing I have at the top of my wish list for this year is that my family all have good health and no financial worries. The afghan is absolutely beautiful & thanks so much for the pattern too….There’s a lot of crochet & knit sites out there & this one is just as wonderful…I’d love to be able to get the books & yarn…. The top of my wishlist is for a load of firewood to keep me warm through the winter months. I would love to win this. It looks like project to keep me busy all winter long. I’m disabled and only get out when someone comes to take me to one of my many Drs appointments or I might actually get to go the store instead of my husband picking up everything up on his way home from work. I can spend 2-3 weeks or better shut up in the house with just me and my kitties and I’m always looking for things to do to occupy my time and this would be perfect!!! The most important thing at the top of my Christmas wish list is : PLEASE Santa make me CANCER free. I would also Love to win your give away. I’ve never actually won anything. Love your website. Love getting FREE stuff. My wish is the same as last year, I wish that my Mom stays healthy for another year. I am her caretaker after a stroke she had almost 7 years ago and I just want to keep her healthy and content. Finances improving should be included in that wish too. This year, I hope to knit together all the crazy yarn stash members of the family that we haven’t seen in so long and make the beautiful blanket of color explosion and dueling patterns that we have always been, but never expressed. My wish for Christmas is to have a craftroom that resembles Hobby Lobby or Michael’s Store – filled with crafting goodies to last and entertain for all of the hollidays throughout the years to come, and not run out of supplies ever ! Now that would truly be a ” Cindy’s Crafty Christmas , indeed. My wish list would begin with health for my family. This is am awesome offer. Someone will have a Merry Christmas. Blessings to all. Tomorrow isn’t Dec. 29 as you stated in the official rules on this page. We are still in November. My wish is health and happiness for all my friends and family. I make blankets for those in need of Shelter and/or warmth. Would love to win this and be able to share with someone without anything and in need of some love and beauty in their life. I would like to see an end to homelessness and people going hungry. It is sad to see so many people in these situations especially in this country in 2016. That is my wish. Thanks for the giveaway. Would love to have this bundle to knit or crochet so many beautiful projects. My grandmother taught me how to knit when I was 8 yrs old, almost fifty years now. It gives me such pleasure to create something for others. The top of my list this year is yarn yarn yarn!! Wish for health to be able to do things for myself and keep up with daily life. To be able to keep on knitting and making things for family. A calm, drama free Yuletide for me. Had so many upsets and upheavals, lost family and mobility, this year. On the top of my wish list is that i would win a sweepstake so that I could visit my new grandson for Christmas. My son is in the Navy and stationed in California. I live in. Kentucky which may as well be light years apart. Top of my list is a yarn swift. I wish for my family to be healthy and happy. I wish to find a job soon so I can help with financial problems we are having. I wish for my fiancee’s children to be happy and healthy and wish for my fiancée to be able to hopefully see his children this coming year. This is the first year, in 14 years, that my husband, children, and I will not be traveling for the hollidays. My wish is to make hollidays enjoyable for my children and to be able to put something under the tree for each of the children. For Christmas I would like to share the love and peace of the season. I have all that I need and wish to be with family. The wish at the top of my list is that my children and grandchildren would enjoy the blessings of good health, love and prosperity in all the days of their lives. And I know your post said Dec29, but I know you meant Nov 29. Merry Christmas and blessings to you! Yarn, yarn and more yarn (and a place to store it. LOL I’d also flip for an embroidery machine – or even a really nice sewing machine. I would continue making hats and blankets for the homeless,va hospital, cancer patients and the pregnancy center. This is a great year for everything-hope next year will be the same! My wish for Christmas this year is for me and my family to get together and enjoy all the blessings that Christmas brings-prayers! At the top of my wishlist is that my family is safe and healthy! A circular sock knitting machine and more yarn! As others have said, getting together with my family. Please remember what the Reason for the Season is. My wish is to have a peaceful, happy holiday season!! This year I would love to get a new coffee maker and coffee to go with it.! My wish list this year is Love, Happiness and Health for my family and friends. What a terrific prize! The yarn and pattern choices are wonderful ones. Would enjoy this prize! Wonderful winter project! Health and Happiness for my family! My husband hunts over Christmas and I hope for some meat for our freezer and a new vacuum seal machine to package the meat. My wish is for my brother, who has bone cancer, to not be in pain and for his treatments to help keep him with us. I wish for health, happiness, and for once in my lifetime to actually win something…. A big plus would be that it be yarn and related products. I would love to have a sewing machine. HAPPY HOLIDAYS!!!!! My wish(s) this year is to learn to knit and to replenish my yarn supplies. I am disabled and crochet lots of items for myself, friends, family and charity. 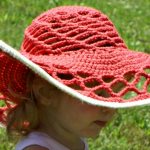 I have recently seen a lot of patterns for knitting and what to learn how to do these. I do not know what moderation means. My wish for Christmas is for wisdom for leaders, in all things; tolerance, patience, love for this world’s greatest miracle, the human race with all it’s wonderful “uniquenesses”! To successfully complete chemo and upcoming transplant. I have many things to knit and crochet before I die!!! My wish for Christmas is for my children to be happy and health on Christmas. There has been a few Christmas mornings were one of my five children was sick with the flu. So, I want my family to be able to enjoy the day. That is one beautiful blanket. I would love to make it for my living room. I will try the pattern as soon as I can buy the wool. Thank you for a great site I love it. I would love to win all that yarn. I’m a ready on my second scarf for Christmas. My holiday wish is for my daughter’s health to improve. She has been struggling this year and I hope the new year makes her better. Some financial help for both my kids would be good too. That the family is able to get together and enjoy the holidays, with one member missing Dad for the last two years, we as kids want Mom to feel that she is not along, and want to wish her all the best on her 85th birthday. I wish they would find a cure for cancer. I also wish next year will be a better year. Lost my husband and best friend to cancer this year ,. Crocheting is my life line . Lots of beautiful yarn, so I can put my heart into every special piece I crochet. I would like to have all of my kids and grandkids with me for Christmas. I’m giving my 8yr old and 11yr old grands beginners crochet kits I’ll be putting together. There’s nothing so precious as time spent with family! This year I wish for peace and harmony throughout the world and for all military personnel to come home safe. The top of my wish list is seeing my great grandchildren and watching them open their gifts that I crocheted for them n filling storage area with more yarn and new patterns. My wish is for a new comfortable chair to sit and crochet in! My wish is for my hubby to get healthy and some new yarn for me. I think I would love to have some time off just to work on my crochet! It’s so wonderful to make things yourself, like this colorful blanket. 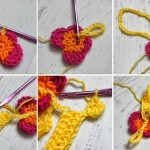 Beginner crocheter, I need those!!!!! I wish for more Yarn to make more scarves for the people in need in this cold and snowy weather here in the Black Hills of SD! I pray for peace, help for the elderly, no one going hungry, these are troublesome times for this world. We see so much suffering, nations in upheaval, I want life to be respected, honored, it’s a priceless gift. I hope I win, but if not, then the person who needs this most will. God bless everyone that posts here, those that read the comments, I hope your Christmas is the best ever. My wish is for improved health for my grandson, who is 11 and had brain surgery Oct 27th. He had a rare illness (Lemierre’s Syndrome), an abscess at the base of his brain, multiple infections, and blood clots… infected clots in his jugular veins, blood clots in his brain and lungs. He is home with family providing health care since insurance will only allow the nurse a weekly visit to check his PIC line (IV to a vein near his heart) and draw blood, but he is at risk for seizures, aneurysms, and strokes. Our GoFundMe is going nowhere. Here’s the link if anyone wants to share it on Facebook or elsewhere: https://www.gofundme.com/mynephewdj Thank you! Hope to win yarn so I can crochet new blanket for DJ. I wish for good health for myself and loved ones. Knitting, crocheting what a way to relax. Love to knit all kinds of things, socks, sweater, crocheting aghan, sweater anything that is challenging even better. My family loves these as well my friends, what better way to say I love you that a handmade piece. Thanks for the opportunity to win such fabulous prizes, wool and books love it! My wish is for a new set of interchangeable needles. my prayer is for health and happiness for my family and friends. My wish is for more time and energy to do all the wonderful projects on my to do list. I wish for more yarn and peace. I want to have a peaceful Christmas with good food and lots of goodies with my family. Wish everyone a healthy New Year ahead. My wish is for health and happiness for my family. My hope is to finally learn to cope with add. Making awesome knitted and crocheted gifts for friends an d family. Looms are on the top of my Christmas list this year. My main wish is the safety and good health for my son. For my financial worries to improve. Then to win the give away, it would be nice to win for the first time! I wish to win this contest! My wish is to be able to pay the rent. My Christmas wish this year is for more yarn to make blankets for the Youth Shelters. These kids are forgotten in society and just wish to be cared for. Everyone needs a helping hand once in a while. I have recently started crocheting again after suffering a long bout of major depression. Crocheting keeps my mind busy and keeps me feeling happy. My wish would be for lots of yarn for new projects I’d love to make. My top wish is to enjoy the season with my family. I’m looking forward to the experience with a 3 year old and a 1 year old. Good health for myself and family and also a new furnace. I’d love to win yarn and books! Health & Happiness for me & my family. We just had to get a new garbage disposal and a new hot water heater. The only thing I’d like for Christmas is a safe trip to our daughter’s house. If we have a nice, pleasant dinner and a good visit, that will be enough. My husband and I are in our 70’s and we pretty much have what we need. Just being able to have a family visit is plenty. Hoping that my family are able to get together for the Holidays. And Wishing Health and Happiness to all my friends. What a great bundle! Thanks you for the opportunity! For Christmas I would like my sister who has cancer to be able to enjoy the day with family and friends without getting sick. My wish is that our four children would attend the Christmas Eve worship service at our church. One son is a Marine, in Virginia, waiting to start his school in Jan., and two daughters are not believers. I would like a to receive enough crafting products for Christmas to keep me busy for another year. But most of all I wish there could be Peace and Happiness for everyone. That snowflake afghan sure looks cozy. Nothing better to curl up in on a cold winters night. Thanks for the giveaways. My family is 6,000 miles away. My wish is that my three sisters come to visit me. I would have to say that my greatest wish for Christmas this year would be for all my family and friends to be happy and healthy! I would love some more yarn and an interchangeable knitting needle set. My wish list for this Christmas is not only for my family’s health, but for the health of our great nation. I can only hope when the new administration takes over, that our nation can be not only great, but people can be supportive and kind to each other. I can only hope that our service men and women may be home with their families for the holidays!! This would be wonderful. I need to learn to knit. I want to leave each of my children and grandchildren something to remember me by. As a result, I knit constantly, hopefully getting the personality of the recipient right so that when they wear the item and enjoy it, they will remember me with love. First I have to say Thank you for the beautiful Corner to corner blanket pattern! I love it! My wish list this year is yarn and some nice new crochet hooks and that nice wood yarn bowl that I have been seeing. Only Wishing for the last two, the prices stop me from buying them.. But yarn is top on my list! A little more time to get everything done! I love this Afghan pattern!!! I can’t wait to try it out!! Good luck on the give away everyone!! The top of my wish list is peace, harmony, health, happiness and love for all. I hope to win.I am just starting out. I hope to win.I am just starting out again since I retired. Books and beautiful yarn are always on my wish list, Christmas or not! My wish is that someone find a cure for dementia related disorders. Winning this prize would fantastic. At the top of my wish list is additional storage furniture for my craft room….specifically …shelves for fabric and yarn, and a sewing chair. AS the angels said, Peace on earth, good will toward all. I have everything I need! My wish is that everyone be happy and healthy for the holidays! I’m wishing for a blender so I can make smoothies! I’d like to wish one and all a wonderful Holiday Season. I hope everyone gets what they wish for. I’d really like to have the book Slippers for the family. While I don’t have any children, I’d like to have some patterns for myself and my husband. We live in an all tile house so the floors can get really cold in the winter. My wish for Christmas this year is for everyone that I know who is struggling financially to enjoy their family and count the blessings that they have, regardless of how small. It is what I am doing this year. And I wish for those who have little but still share what they do have to have happiness, because that is what they give when they share. I want yarn so I can make more afghan’s, want to in the new year make baby blankets for the hospitals for premature babies or any baby that needs it plus hat & booties. that is what is on my wish list this year. Thanks & Good luck everyone! My wish is for a healthy, happy family. If I could get a gift card for Micheals that would be awesome too. Wishing All a Safe and Happy Holiday !!!!!!! I would love to win this. Now that I have so much free time but unable to work due to illness this would help in so many ways. I’d be able to make different items especially for my grandkids. At the top of my list is more time to sew, knit and crochet. I have so many patterns I’m wanting to make. I’m clearing away as many other tasks as possible so I can devote the winter months to sewing, etc. It’s taken me 7 years of retirement to learn to say “no” to volunteer work requests. Lots and lots of yarn and crochet supplies is all I want for Christmas. i wish for a healthy and happy year for my family and friends, especially my grandchildren. Ilove to knit and crochet baby and children’s items and cozy blankets. Good quality pencil crayons and a book to go along with. At top of my list is better health for all concerned. A little further down is for the school system to realize zero tolerance is NOT the answer to all problems. I REALLY want a mat or something to do blocking on. Most of the stuff I knit doesn’t really need blocked, but I have a shawl that’s just not finished because I can’t stretch and block it. I want to get a new jacket for Christmas this year. Sharing good cheer with family, friends and strangers. Would love to have a working refrigerator. Old or new does not matter. Just working would be wonderful. My desire is to be able to crochet hats and scarves for family and friends and for a charity in need. Yes! Please and Thank you for this generous giveaway! Happy Holidays! This year, I’m going to donate blankets & treats to a local animal shelter, food to a local food bank & try to knit some things for those less fortunate than me. While I’m just making ends meet, I still have the ability to give to those that need! Retiring in June and looking for projects to do. Winning would give me a start in the right direction. I need notions and things for learning knitting! I can crochet, but it’s time to add to my skill set! At the top of my wish list is to receive a new(or older dog) to love. My last fur baby passed away 2 years ago and I miss him soooo much! However I do not think this wish will come true!. Second wish is to win the prize for this wonderful contest. Thank you so much for this pattern it looks great! My colors would be royal blue and white! Caron Cakes Yarn is at the top of my list! I love the color selections and the finished fabrics are just beautiful! Yarn and hooks. Be reunited with my family asap. I’d like to win — keep my fingers busy and out of the Holiday sweets!!! Lovely would love to win this. My top wish is for everyone to have a nice Christmas, next is time to crochet most of the patterns I want to do this winter! This afghan is G O R G E O U S!!!! It looks like I will be tackling this project over Christmas break! I will be spending time with my family…I simply love the holidays. I am new to the crochet world, and i find it to be so relaxing, enjoyable and very comforting. I am disabled and can no longer work. I had too much time, and didn’t know what to do, a friend suggested i try to crochet. i did and I absolutely love it. 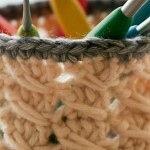 I have put a list of crocheting supplies at the very top of my Christmas list. At the top of my list is peace and love for everyone and also good luck to all who enter. I am new to the crocheting world, and it is such a pleasurable experience in so many ways. i am disabled with so much time on my hands, a friend suggested I try my hand at crocheting, I am so glad I did, now i can’t seem to get enough. I have asked for a load of crocheting supplies from friends, and it’s at the very top of my Christmas list. For myself and my families happiness and improvement on health. The top of my wish list has tools, such as the circular knitting needles with interchangeable cables. Love the green yarn! And animal lovies are on my “to learn” list. Great package! Merry Christmas!!! My wish is yarn, yarn and more yarn!!! Thanks for the corner to corner snowflake afghan pattern. Can’t wait to try it. My wish that all the people who are grieving to find comfort and joy this holiday season. This will be my first Christmas without my husband who is now in heaven. The yarn and books are always nice. Thank you Stitch and Unwind. Love your website. I’d love to win this! Can’t wait to start that pattern, I’ve never made an afghan from corner to corner before!! I have a wish for our crochet group. A few of us girls get together every other week. We started because we are beginners, but each of us knew a different stitch. So we try to help each other. I’D like to find a way to make group more fun and interesting. If I won, I would share with my group. I would love some candles..I love them! What a great pattern to work on while sipping something warm in front of the fire. Hope to be the winner! What a beautiful blanket perfect for the holiday season. This bundle is wonderful. At the top of my wish list is to have my mom survive through the holidays. She is dying of cancer. And to win some yarn would be a special way to keep my mind busy while I sit at her side. God bless whoever wins!! Yarn and time to make all the things! Yarn goodies are at the top of my list. So is peace and happiness for my family members. My wish is to get the job I’ve applied for. Love the pattern and would love to win the yarn. I use a lot of yarn for charity crafts. I want everything I need and a few things that I want, but don’t need. Yarn is in both categories. Thanks for the drawing. My wish is for my family and everyones families to be together for the holidays. I love to crochet something for everyone in my family. To make nice clothes for my new grandson and to be able to take the whole family on a holiday. I really want a new frying pan this year. My sister-in-law had a mastectomy today; we don’t live in the same city, so I feel a bit helpless. My Christmas wish is for her renewed health and her speedy recovery. That my kids & grandkids have a great Christmas! It’s been a rough year for all & they deserve an extra specialone. I would be happy with new books, patterns, & colorful yarn! I love to get new books! I pass a lot of time looking thru them & deciding what I want to make next! I would love to get a new jacket. At the top of my Holiday and Birthday (Dec 23) list is yarn. I have grandchildren who actually ask me to make them things every year and they range in age from 2 to age 9 boys and girls and this March we will welcome another little granddaughter and of course I must make her the usual things, booties, bonnet, baby blanket, sweater etc, So, I could use inspriation and yarn! The item I want the most is yarn. I have so much to do and so little yarn lol My mom calls me with items that she’d like me to make. She’s the baker in the family and I am the crocheter for the family. I would Love To Win Because Within 9 Months Apart I Have Lost My Dad In Feb And 3 Weeks Ago I Lost My Father In law .They Both passed away 9 months apart and I Suffer From Anxiety disorder and I Would Love To Learn how to knit or crochet To take my mind off of so much sadness and to have something to do because I am Physically handicapped. I love the blanket. It looks difficult! Remembering my son Jon this holiday season, who passed two years ago age 21; and rejoicing the miracle birth of my grandson in October, born at 28 weeks and doing fine! We have hopes of bringing him home for Christmas! Life has a way of throwing you some doozies, doesn’t it? I hope everyone has a blessed and grateful Christmas this year. Merry Christmas! Peace and goodwill are at the top of my holiday wish list. My wish is to find a house to rent that is big enough for my family and mom to live in, so my mom is financially able to retire and enjoy life for awhile. One can never have enough yarn. Love yarn and books for more beautiful projects.to crochet. Seriously, just gift cards and cash I would love right now. I’m so broke, I don’t know how I’ll afford gifts. A ball winder. I’m turning all my “yarn barf” into yarn cakes and a winder would make it so much faster. Also a yarn bowl. 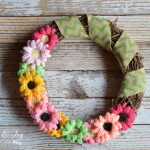 I just started crocheting and would love to win this wonderful giveaway. I want all of us to have a wonderful holiday with lots of yarn and plenty of time to (actually) finish our projects! been knitting and crocheting since I was 3 or 4 years old. for years, wanted to try some weaving and just found a table-top small frame that could get me started. I wish my sciatica would get better before Christmas. I haven’t been able to sit and crochet or knit for 3 months now. This is putting a serious dent in my friends’ and family’s homemade presents. I’m really looking forward to knitting and crocheting this winter. I am working hard to learn all I can. The afghan in picture is pretty love doing triangles makes it go faster. My Christmas wish is my family loves what I crocheted them. I just want to have my family all together. I love the red and white blanket. I would like to get a couple new cookbooks. I would love to do a new blanket for my daughter as she lives in the U.S. and is unable to be home for Christmas this year. It would be something that I could send as a surprise for her. Also it has been made by me for her. Merry Chrismas.I’m making a pom pom rug for my granddaughter.I’d love more wool and books. At the top of my list would be for everyone to have a safe and happy holiday! Thank you for the pattern! Loving Stitch and Unwind! This year, my Christmas wish is that I can give my 5 boys a nice Christmas with things they enjoy and see them happy! I would really like to win the yarn and books, so that I can get something from “Santa” too! I wish to see all of my grandchildren enjoying their gifts together around my tree! To get thru this chemo without any problems and yarn to make things. It relaxes me. I know everyone else is saying yarn but mine would be a new cell phone. This would be a gift to my nana. Good health for my family and the wisdom to decide when & where to retire, and patience to try new craft projects, like the beautiful snowflake blanket design (in my favorite color: RED). I want our country to heal. What an absolutely gorgeous afghan! I would love a new dachshund puppy! I want patterns patterns and more. I would like a laptop to find crochet patterns. I want to make afghans for my nieces and nephews and their kids. I love this fantastic website! Thanks to MarlyBird for this beautiful snowflake afghan pattern. A sparkling Christmas to all! I would love to win this. My grandma taught me to crochet and its been so long since I’ve done it I’ve forgotten how. This would help me greatly and help connect back with something I did with my grandmother as a child. Thank you for the opportunity. One of my priorities is to work on my PhD (projects half done) and finish them as well as keeping up with my yardwork! Thanks for having this contest! I am in great need of a nice new bicycle to get my nephew for Christmas, and is at the tiop of my shopping list this year. Finally mastering crocheting is high on my list! Efforts so far have been less than stellar. This is a design that never goes out of style! It’s great to add to my daughter’s collection– red warms the holidays up! Money and or gift cards! At the top of my holiday wish list this year is a hug. Yummy yarn to make all,the Things! Always a gorgeous gift from you! Truly, too of my list is good health and happiness for my family, so in the healthy realm, I really want/need a good facial steamer to work on this suddenly problem skin (after 49 years of great skin…was so thankful for it) and terrible eyelid issues. My eye problems have even stunted my creativity! Thanks, and have a joyous holiday season. A visit with my son and his family who lives 10 hours away. I would love to have some pattern books to give me something to make with all my yarn stash! At least before my husband gets annoyed at the yarn stuck away in every corner. Wishing that all the less fortunate have their needs met and all the kiddos out there get a gift from Santa…praying for peace! My wish is that everyone is happy & healthy for Christmas. I would love to say I am done crocheting for Christmas. Who would pass up a chance for more yarn, books. The gifts I am crocheting are for family. Enjoying there company is the BEST! I like the pattern very much, although I prefer knitting. The prize is fantastic & of course I hope I win. My son to come home for Christmas. My biggest wish this year is to get a Crafting Room all of my own. I would fill it with books, yarn, needles & hooks for all possible projects. Thank you Stitch & Unwind for the opportunity to add more items to my wish. To have a safe and happy holiday for everyone. To spend time with family. We have two very young great grand children for whom I like to make various items so this prize would be very welcomed. What a wonderful package! I’m ready for a new project. I retired this passed June. I worked a as a school cook for 17 years. Now I’m getting back to crocheting, sewing and trying to knit.. Just finished a basket, crocheted with t-shirt yarn. Made it to hold my yarn. That was fun. I’m going to make another one! Winning would great. Just found this site a couple of days ago. I will be here a lot. My wish is to have a lot more yarn to make my gifts. Have been using the Red Heart Scrubbie yarn & love it. Want to make a lot of products with this yarn for the family. A new sewing machine is at the top of my list. To find a good job. Top of my list is yarn, yarn, yarn, hooks, patterns. Oh, and peace and goodwill to all! At the top of my list is health and happiness for all. Second is always yarn and accessible. I especially like to see all of the free patterns. They give me such good ideas for projects. I have knitted for 72 years, so I have most of the accessories that I need. I could use some yarn. I make prayer shawls for my church. The top of my Holiday Wish List is for another year of peace, health and happiness for all my friends and family. My holiday wish for this year is financial security and good health for my family and friends, and an end to intolerance and hate! I don’t make wish lists. I used to crochet. In 2017 my New Years resolution is to crochet and learn to knit. Peace on Earth. Lots of scrubby yarn!! I am wishing for good health for myself and family. Love them so much that material things are not important anymore. The top of my wish list to be able to go home to Pennsylvania with my children so we can have a “white” Christmas. Living in deep, deep south Texas we don’t see snow at all. At the top of my wish list is a new electric 6-string dulcimer! I wish for happiness for all. This year I would love to meet a male companion. I was widowed nearly four years ago and the holidays are lonely. Thank you for the chance to win. Good luck and Happy Holidays to all! All I want is books, books and more books!! And a kitten would be nice too! I don’t have a wish list but I know what I would love other than yarn is good health for myself and all of my family and friends and Peace on Earth God willing. I just learned to crochet 3 weeks ago. Would love more books and yarn to learn with. An iPad Mini is at the top of my list. Top of my wish list is for all my kids to make it home for the holidays at the same time so we can all be together. Let’s face it. I need to learn to knit.#1 To do. My Christmas Wish is for all my family and friends and all the military families to have a Blessed Holiday season and New Year! I don’t care if I win, I will pray for the lady who is bed ridden with illness to win. Merry Christmas! I have been wanting an espresso machine. The top of my list is an XBox One. My list would include many books. I like to read. For Christmas this year I want a genie who could grant me one wish: to be a bear, only for the winter months, so I can hibernate and wake up that much closer to retirement (July 2017) because… Then I will have all the time in the world to knit, crochet, learn how to sew, make jewelry and other crafts. I need yarn and how-to books to be ready 😉 and…. Merry Christmas to you! An iPad Air for my daughter. I would love to win yarn and a book. At the top of my list for myself is upgraded yarn. I want to try new textures and weights such as alpaca for example. At the top of my list also is the well being of my family. I wish for more time to crochet! My wish is simple – Good health for my family and myself. My wish for the Holidays is that everything goes well when our yongest son comes with his children for diner on Christmas day. Our son received a new kidney 1 1/2 year ago and we are so thankful for the lady who signed her card to donate her organs.She is with God now and our son has a new life in front of him. He’s only 43. May everebody be blessed on this special occasion. All I really want for Christmas is a peaceful and happy visit with my family. My Grandfather passed away 2 days before Thanksgiving, so it’s not been the best year for us. My wish is that there be no more wars anywhere and that the whole world would learn to be friends. Taught me how to knit and crochet.